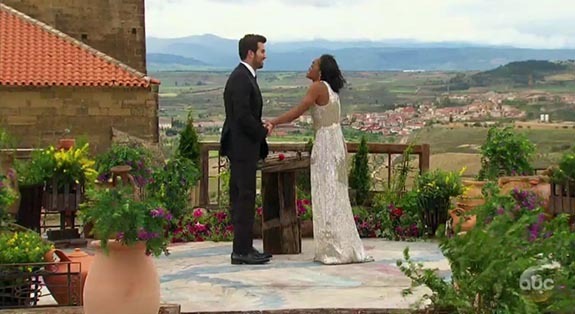 Rachel Lindsay Accepts 3-Carat Diamond Ring From Bryan Abasolo During ‘Bachelorette’ Finale - Atlanta Diamond Co.
A full season of suspenseful rose ceremonies culminated Monday night in “Bachelorette” Rachel Lindsay accepting a marriage proposal from Bryan Abasolo, along with a stunning 3-carat pear-shaped diamond engagement ring estimated to be worth more than $100,000. 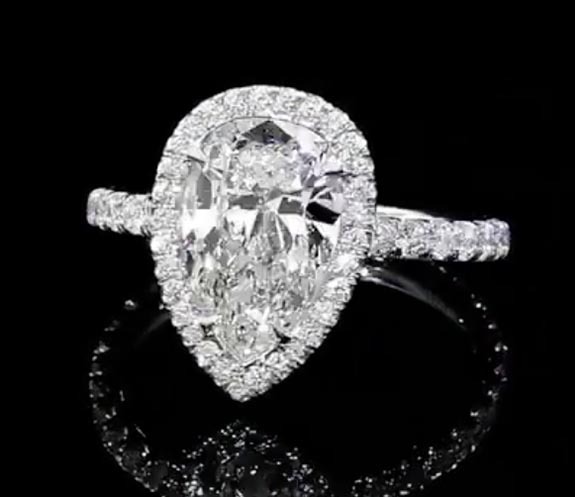 Designer Neil Lane told People magazine that although Abasolo was initially drawn to a more elaborate ring with a princess-cut center stone, he eventually went with the more feminine pear-shaped design. Lindsay had apparently told her suitor how much she loved pear-shaped diamonds, so Abasolo “lit up” when he saw Lane’s design. 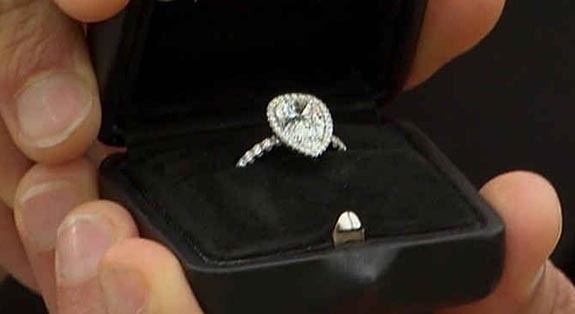 In the lead-up to Monday’s show, which was pre-recorded, Lindsay had been been sporting a temporary gold band on her ring finger so the style of the actual engagement ring would remain a mystery until the show aired. 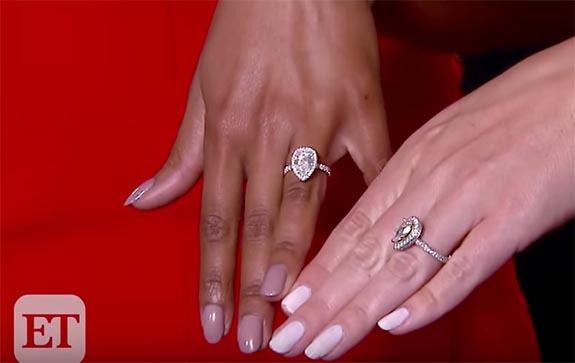 Earlier this week, the couple appeared on Entertainment Tonight, where Lindsay compared her ring with that of ET‘s Lauren Zima. 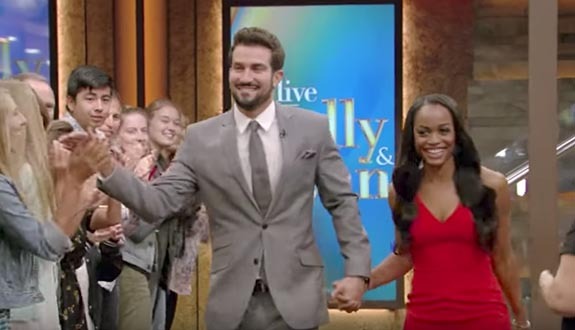 They also received a warm welcome from the studio audience of Live with Kelly and Ryan.